Lewisham Live returns for 2017 and this year it is bigger than ever! 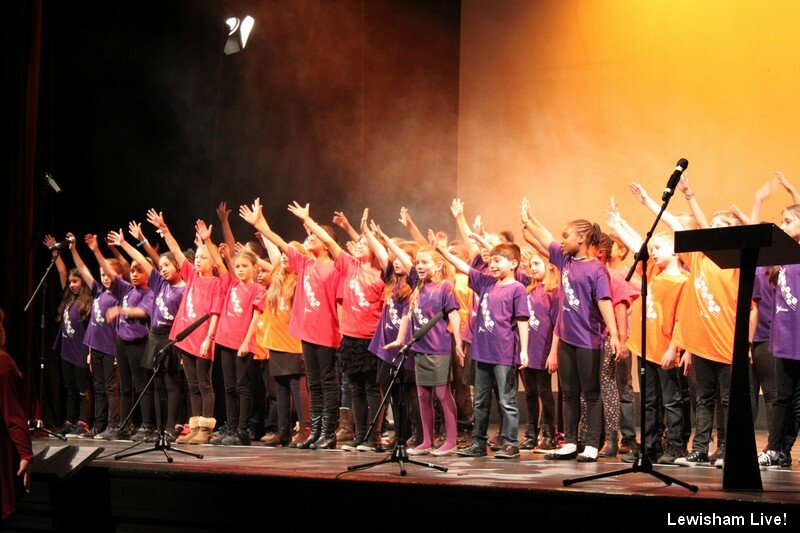 With 15 events, in 8 different venues and well over 2,000 young people involved – The festival continues to create unique opportunities for children and young people to showcase and develop their talents in music and dance. The Festival press release: The 2017 festival has a whole host of new projects working with young people, and creates performance opportunities in prestigious venues all across the borough. These projects allow young producers, musicians and dancers to specialise and develop, and perhaps even taking the first professional steps. In partnership with Trinity Laban Conservatoire of Music and Dance, the Creative Collective project brings together young performers (some who may have performed in past festivals) and two professional mentors to create innovative pop- up performances across Lewisham and inside Tate Modern as part of the Tate Exchange programme. Live Composers, features brand new pieces created by young composers presented to a live audience for the very first time. Professional musicians; Patrick Bailey(London Philharmonic Orchestra), Sarah Freestone(BBC Concert Orchestra) and Damien Cooke (producer & songwriter) will mentor the young composers in variety of musical styles, all before the final pieces are presented on a professional stage at The Albany, Deptford. As the name suggests ‘Move, Shake, Mango’, is an exciting event where for the first time ever, young producers from The Albany and Greenwich and Lewisham Young People’s Theatre (GLYPT) will come together to produce an night of innovative music and dance. Live at Trinity Laban returns for 2017, led this year by celebrated musician and BBC Concert Orchestra violinist Sarah Freestone and distinguished choreographer Alesandra Seutin, whose distinctive ‘Afro-pean’ dance works have been performed across the UK, Europe and Africa .This showcase of local performance is headlined by a unique musical and dance collaboration created by young dancers and musicians from across Lewisham. Next post Good Gym Lewisham - starter session this saturday.